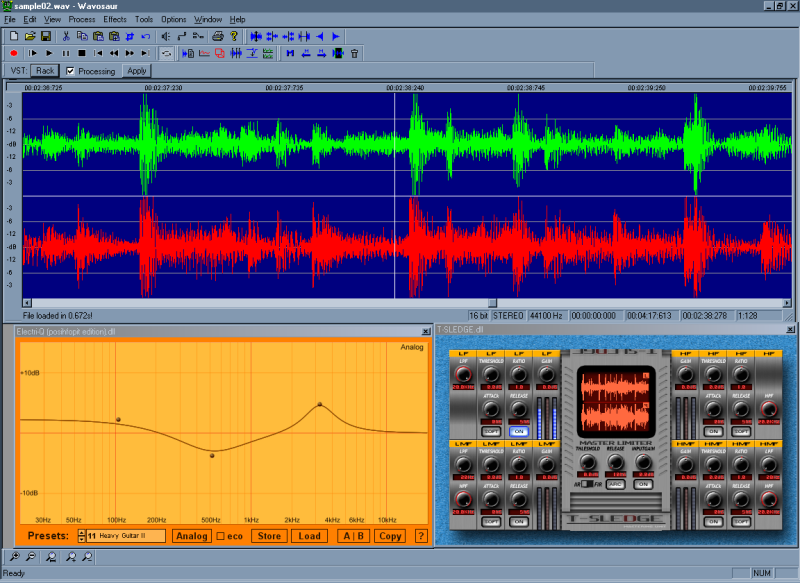 Wavosaur is a feature-rich freeware digital audio editing software including VST & ASIO support. Wavosaur is an advanced and complete audio editor including all of the common audio editing commands and effects (cut copy paste mix swap) plus powerful built-in tools such as a batch processor/VST effects rack, synthesis generator... Comprehensive, easy to use, and efficiently engineered, Wavosaur offers a serious free alternative for audio editing. - display audio data waveform (zoom in/out with mousewheel, zoom selection). - use/create/import markers to locate the selected part or special part of the audio files. - many tools: pitch shift, auto trim (scan and remove silence from the start and end of and audio file ), auto region, insert markers on BPM, loop points edition, export multiple files from marked regions, insert noise or silence into an audio file, generate synthesized waveform. Qweas is providing links to Wavosaur free digital audio editor 1.0.0.8000 as a courtesy, and makes no representations regarding Wavosaur free digital audio editor or any other applications or any information related thereto. Any questions, complaints or claims regarding this application Wavosaur free digital audio editor 1.0.0.8000 must be directed to the appropriate software vendor. You may click the publisher link of Wavosaur free digital audio editor on the top of this page to get more details about the vendor.